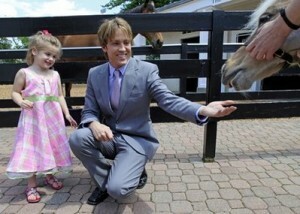 This past weekend as celebrities descended upon Louisville for the 136th Kentucky Derby, Larry Birkhead returned to the city, he once called home, to treat daughter Dannielynn to her first Derby. 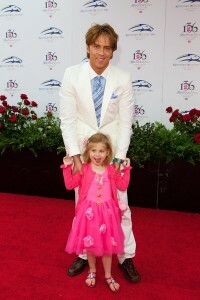 Larry spoke to Star about the event and it’s importance to his daughter. Anna picked out the vintage 1996 Rachel London pink dress, with sweet Barbie buttons and flowers, on a trip to New York, says Larry. Sadly, Dannielynn is starting to realize Anna’s absence. The tiny tot seems happy to spend time with dad though.